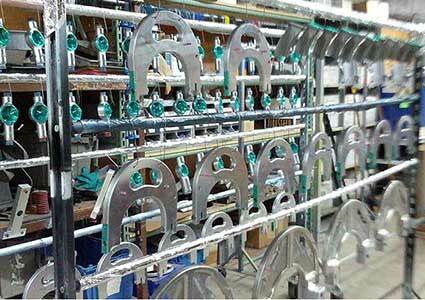 Not only do we offer special order requests for small orders, K & S is also proud to offer larger production runs. Because we use a means other than the typical conveyor system, we assure every piece gets individually washed, prepped and coated. This ensures the highest and most consistent quality coating as well as consistently low turn around time.